Power transmission and distribution involves the bulk movement of electricity from a site that generates electrical energy (for instance a power plant) to an electrical substation. Also known as ‘power grids’ in North America, the combined distribution and transmission network consists of local wiring connecting high-voltage substations to customers. As most of the regions now have ‘liberalized’ electricity market regulations, the inevitable separation of the power distribution business from electrical transmission business is likely to promote the growth of the global power transmission and distribution (T&D) cable market. Several market players are providing a wide range of expertise for projects via their skilled personnel including specialist project managers, engineers, environmental consultants, and designers. The planning of consent support, route and site optioneering, grid connection support, tackling environmental constraints and understanding feasibility, and offering smart grid solutions are some major services offered by these companies. For instance, WSP Global Inc., a leading U.K.-based project management firm aiding the creation of substations and related infrastructure, helps in front-end planning, obtaining permits, suggesting power facility design, and cable selection and design. A number of other players are focusing on the development of more efficient designs of cable systems. This is expected to have a positive impact on the overall expansion of the global market for power transmission and distribution (T&D) cables market. For instance, in May 2016, Prysmian Group, a key supplier of innovative solutions for power grids, announced that it successfully developed and tested a novel 7000 kV MI-PPL, along with 600 kV extruded cable systems that are specially designed for high voltage direct current applications. The global power transmission and distribution cable market is likely to be benefited by factors such as enhanced distribution infrastructure, expanding power transmission infrastructure, growing initiatives by the governments across the globe in order to upgrade power transmission units, growing demand for power globally, and rising focus on power generation via renewable sources of energy. These factors are also anticipated to attract investments in the near future. The global market for power transmission and distribution cable is likely to grow at significant rate in the near future and is likely to be driven by the growing investment in the power generation, transmission, and distribution infrastructure developments. Power transmission and distribution is done through the underground cables or overhead transmission lines. Power T&D cable is an assemblage of one or more conductors, held collectively with a cable sheath. This industry research report is a brief review of the growth trail in terms of existing, past, and future scenarios of the global power transmission and distribution cable market. It deals with the evaluation of the aspects that are expected to influence the development of the market and the primary trends have also been specified in the research study. The research study also offers a broad lookout on the vendor landscape of the market through Porter’s five forces analysis. The research report offers references of the research and development activities, mergers and acquisitions, and specifics on licensing and collaborations. 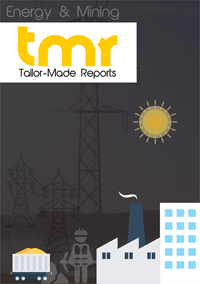 The report probes into the strategies related to publicity, shares, and product range of the key participants in the global power transmission and distribution cable market. The global market for power transmission and distribution cable is anticipated to grow significantly during the forecast period. The primary demand for the power transmission and distribution cable is propelled by the swelling global emphasis on commercialization of power generation through renewable sources of energy. In addition, the incorporation of regional grids to form a national grid driven by the need for a seamless electricity flow across nations is anticipated to augment the demand for power transmission and distribution cables. The high cost of raw material is expected pose a threat to the growth of the global power transmission and distribution cable market. However, the growing demand for high voltage direct current (HVDC) cables and aging T&D infrastructure is anticipated to bolster the growth of the global power T&D cable market. In terms of growth, North America is expected to lead the global market for power transmission and distribution cable. This growth can be attributed to the increasing focus on renewable energy as a source of power generation, especially the U.S. and constant expansion in the use of high voltage direct current (HVDC) technology and superconductors. However, Asia Pacific is expected to be a key area of growth on account of lower manufacturing costs of cables accompanied by strong economic growth. Some of the key participants in the market are Siemens AG, Southwire Company, RPG Cables Ltd., Hitachi Cable Ltd., Nexans SA, Havells India Limited, Coleman Cable, Inc., and ABB.